In 2007, the students of South Lyon East High School were welcomed to a new state-of-the-art facility, serving as a marvel of design for the students and the community. Counsilman-Hunsaker and Integrated Design Solutions designed the natatorium that houses a 25-yard by 25-meter competition pool with eleven 25-yard lanes. The pool configuration is popular in the competitive swimming market, as it provides both short course lengths for training and meets. The facility serves as host for home team competitions for South Lyon East High School, South Lyon High School, the district’s middle schools, and the community developmental programs. 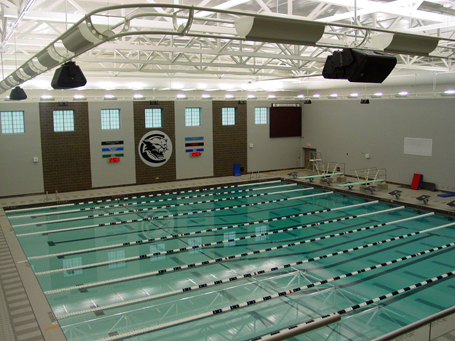 The pool is utilized not only by swim and dive athletes but the community for various aquatic activities, including swim lessons and water aerobics.